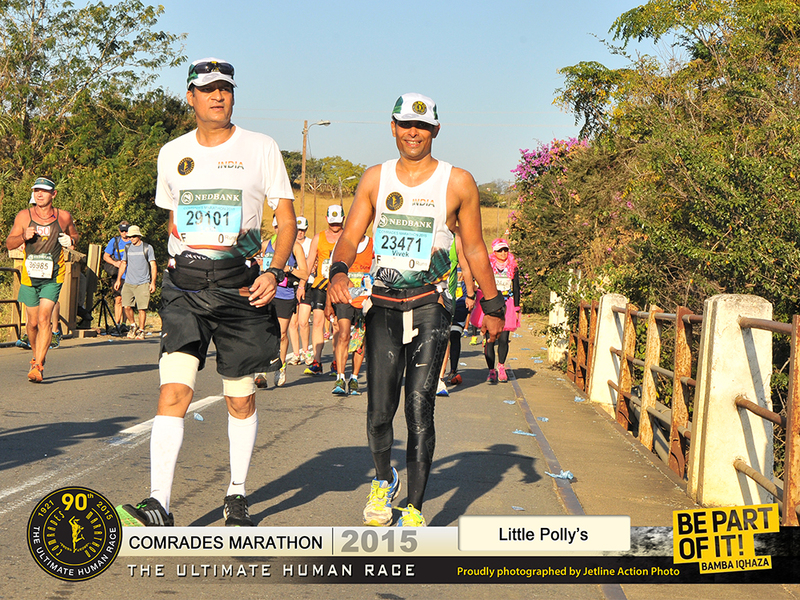 Lalit Periwal: A Journey from First Half Marathon to Comrades (87.72KMs) in 15 months - Unbelievable !!! 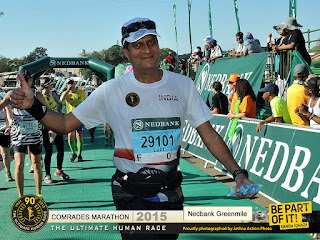 A Journey from First Half Marathon to Comrades (87.72KMs) in 15 months - Unbelievable !!! ये फूल मुझे कोई विरासत में मिले हैं ? I have got these lines written on a frame since last 15 years in my office cabin where I sit . But the real meaning perhaps I understood it today. It really was a very big day as for the very first time I was participating in an event outside my country & also was all alone from my city Surat too. The event timing was from 5:30 AM to 5:30 PM that is TWELVE HOURS which also had 7 cutoffs during the run. Anxiety was such that was only able to sleep for just 3 to 4 hours at night even though had slept very early around 7:00 PM last night . The pressure to perform well or to give the Best had just kept me asleep for hours. The runners were given starting groups according to their timings of finish of a FULL MARATHON & I was in GROUP “ F “ . However well a student might have prepared for his exams the goose bumps are going to be there . Just as a Cricketer whenever takes a Fresh Guard to a new innings his first target is to get off the mark . This is what I felt that day the most . As being the First Runner to participate in the Comrades Marathon from my City to be honest felt that I have lots of responsibility . Although this responsibility had not been given to me by anyone but I myself took it . The starting point was just 900 meters away from the place I was staying. As I was on the road saw many runners going towards the starting point, so just followed them . This is the winter season at South Africa . So as it was very early , wore gloves & a full sleeves T-shirt on my dress just as a precaution ( It was psychological nothing else ). I reached the starting point around 4:45 AM . The atmosphere was very electrifying . It was the last hours of the night & for the new big day to begin not only for me but for many first time participants . The streets were fully lighted & it was as if we were walking in the peak hours of the city of Surat or you can say the Sunday at the Gaurav Path ( Surat ) . There were 16588 starters from all over world, who had came to participate. Music and announcements were going on, like “Greet the runner ‘All The Best’ on your left hand side”, and “Introduce yourself to the runner on your right hand side”. 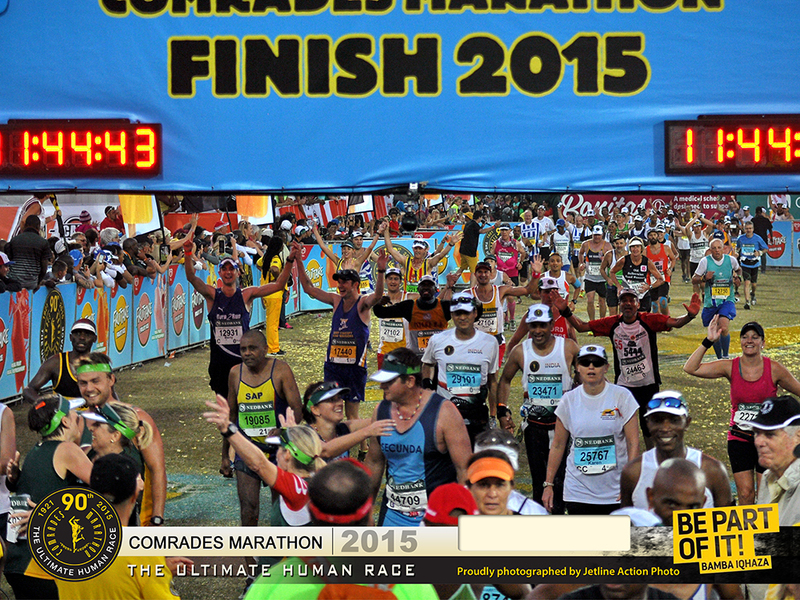 On the BIB of each participant, on the right hand side bottom they write the number of Comrades runs, the Runner has ran. As it was my first time, so it was written ZERO (0) but saw many male & female runners with 12,19,25 etc. written on it. It was really amazing that people have been running from years & years at this prestigious event . 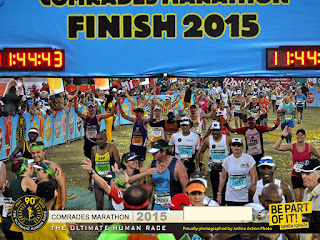 There was an announcement that “ Every South African must run The Comrades at least once in his or her lifetime .” It is really a very proud moment to be a part of such event. It was not so cold so I removed my extra T-shirt & gloves & kept aside. The final countdown to reach the starting point had begun. We were moving ahead smoothly through the Durban City . On the way where the people could not stand besides the road saw many people clapping & cheering runners from the foot over bridge. I was wearing the INDIA T-shirt , the fellow runners started sheering “ Come on India , Come on , Good Going .“ After sometime , felt as if I was running a bit disbalanced . Then noticed here that not only we were going uphill but the road was also like the Formula 1 Racing Event that is a bit sloped towards one side ( Tilted ) , a totally new experience as leaving back the flyover repeats way far behind . I was running at my pace & as per plan . We had reached the first refreshment table . Picked pouches of water & energy drinks so that I don’t have to stop on every refreshment table. I was drinking them simultaneously as guided by Nehalbhai, that drink once energy drink & the next time water alternatively after every 20 minutes. As I was moving ahead our Indian Comrades Runners Dilipbhai Patil & Chitraben just crossed . Then after some time Pradeepbhai Khoradia & Unmeshbhai. To be very frank I was just searching for some running partner to move ahead . They all were running faster & I committed myself to stick to the plan of 8.5 kms per hour so had to let go them. Then after sometime a familiar voice came from behind “ Lalitbhai “ it was Praveenbhai Giriya along with Matthew his friend from Chicago. I was very happy to see them as now I thought that now I have got someone to run along till the finish line & now it will be easier for me. 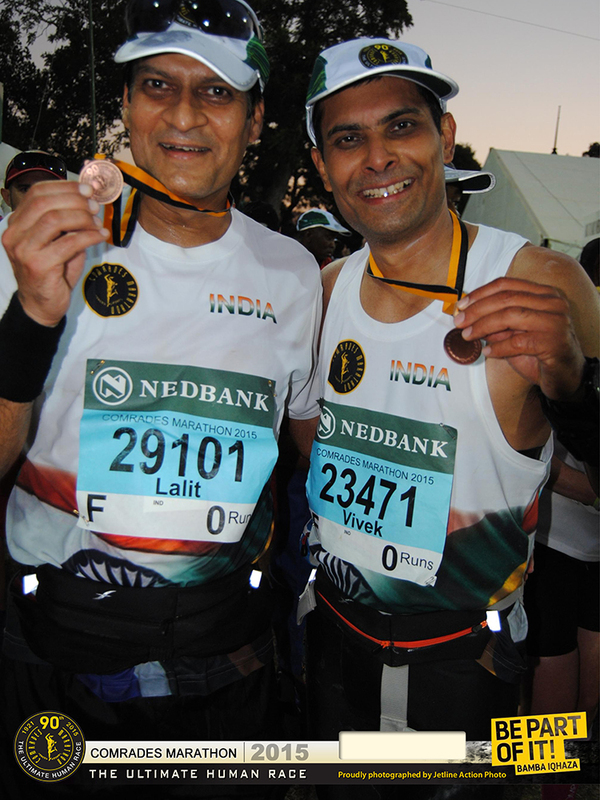 Here I must tell you that myself & Praveenbhai had planned to travel from Mumbai to Durban and return back together but as Praveenbhai & Matthew are sub 3:45 hours finishers at marathon & mine is just 4:03 the best , so all our plans were fixed to be-together other than running in this event . As I always live in the present moment I was just enjoying running in their company but here also felt unable to match their pace so after sometime just let them go ahead . Just then remembered the Lines said by Satishbhai Gujran a day before “ Run your own Race“ . So true that we all have to Run our Own Races just as we do in Our Life . After crossing Winston Park , Caltex Garage around 30 Kms then around 37 Kms felt severe cramps above the knee rolls in both my legs . 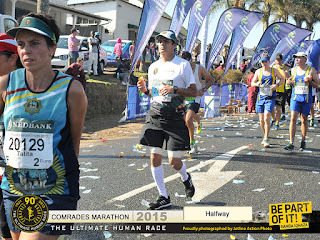 I had run 5000 Kms in the last 12 months & 6 days but had never felt this type of cramps . Still had to go a distance of 51 Kms a very long one was unable to judge what is happening. I started walking & was thinking that from the last few days I had full quantity of water & also the Energade Energy drink ( Provided in the Event) in abundance then how come the salt level has decreased or I got cramps . It can also be due to the hills as I don’t have so much practice of running on them . But had to carry on & was just running & walking as per requirement but the pace had dropped down rapidly. I was not worried as I knew was ahead of time but was determined to finish as being the very first person from my Surat city , I didn’t want to discourage or give a negative message back home that when a person who had ran 5000 KMs in a year can’t even do this then how come we can ? I had only one thing in mind that I have to complete it for all my Surti Runners Friends back home . अभी तो नापी है मुट्ठी भर ज़मीन हमने, आगे अभी सारा आसमान बाकी है !!! I remembered each & every runner friend of mine who had given me company during the last 15 months , My Wife Vineeta & Children Aparna & Gopesh, My Fastest Family & Friend Rakeshbhai Gandhi , My Extended Family Members at My Office so just by remembering them My Spirits were high & got more determined to Complete it . They have a lot of expectations from me & I must give them happiness & this can only be done when I finish this. We were now approaching towards near Drummond , the Halfway Point , where the Wall of Honour is situated where the Runners can purchase a Block upon which is mounted a plaque recording their name, and number. Just after crossing this , saw Dilipbhai Patil walking ahead I just called him & told him about my problem . He too was having the same problem but only in one leg . He told we will stop at the next First Aid Station & get it Bandaged . As we reached the First Aid Station they first rubbed ice on it & then the ointment & then done the bandage. Dilipbhai got it done first then as I was getting it done he told me I am just walking you catch me after you get it done . Here I had taken a big break of nearly 25 minutes . one more thing I must tell you all here that the next Cut-Off point which was Drummond Half-Way at 43.70 Kms was located just 700 metres away from this point . I had time in my hand so it was Ok but it would have turned out to be a blunder mistake by taking such a break before the Cut-off point as would have to return back from this point itself . So please check the point where you are taking break elsewhere the journey might be over from there itself. This I realized when I was going through my statistics of completion of the race ( at Surat ) . I reached here at 5:29:26 Hrs & the Cut-off time here was 6:00:00 hrs so was still 00:30:34 hrs ahead then the scheduled time . I was still limping but had to carry on . The people were just applauding the India T-shirt with cheers of “ India-India , India-India “ . The best thing was that the people have full respect for the runners. The cheering was throughout the Run & the people also standing besides the roads were providing the stuffs to eat or to drink . As I being a pure vegetarian had to miss this opportunity & felt many a times sorry that I didn’t accept any of their offers. For people like me I remembered the poetry lines which I had read in perhaps third or fourth standard “ Water & Water Everywhere & Not a Drop to Drink “ , when a guy was in the mid sea in his boat all alone but had no drinking water. I too was in the same situation & I had to just carry on the Figs & Almonds which I had with me . On the way ahead saw the Handicapped Children from Ethembeni School lined up on both sides of the road cheering the runners . They were happy when we runners were shaking hands with them . This too was an amazing experience as how these children were full of energy & just applauding each & every runner passing from there . God has made this process of thought very amazing . As in just a fraction of a second a person can travel miles & miles or decades back.The thought process is always ON. Here one more story I recalled from My junior classes . There was a Boy who was very fond of oranges . One day he just peeped into an orange farm & started stealing the oranges. ( I don’t remember the exact quantity but it were from 20 to 25 pcs. ) But he was caught by the gatekeeper. He was locked in a room with the evidence with one of his favorite things. As he was caught with the evidence he was to get the punishment. There was no pass away in that room so he just kept on thinking . He started eating the oranges in a thought that the thing which has been done cannot be undone so let’s enjoy this moment . In just anxiety he ate all the oranges then he was sitting besides the peel & seeds of the oranges that is , the left overs & looking at them and at the gate to be opened. Suddenly an idea came in his mind why not try to remove the evidence . So he started eating all the left overs of the oranges . After eating the Oranges to the Full he had got a hatred from the most liked thing by him as he had that in abundance . When the Farm Owner & the Gatekeeper opened the Gate they had to set the Boy free as there was no evidence left . The purpose of me narrating the whole story is that by eating the Figs & Almonds throughout the Run , I too was having the same feeling that I won’t touch them now for ages. As it was now around 12:00 PM so Sun was at it’s best . The temperature was at it’s peak and it proved every weather analyst wrong as they had said it to be pleasant throughout the day. We at Surat are lucky enough as we had a Night Summer Marathon on 18Th April 2015 & it was perhaps proving to be a blessing in disguise . So now for us, Surtis, the Weather , the Roads ( but free from traffic ) doesn’t matter much. Only the Hydration facility is required at regular intervals. Hydration facility here were at regular intervals or should say at it’s best . I was just moving ahead by pouring water on my head at every refreshment table to keep the heat under control. After every two Kms I was doing this so just think how hot it would have been! The water which I poured on my head just evaporated in these 2 Kms distance which I used to cover . An Ultra Marathon or a Marathon is just like LIFE . You start your Life with different people . As we can say our childhood friends are different , so are school & college friends . Then comes our career friends . But the best of them are the Runner Friends which we like to carry throughout this journey called LIFE . We meet several people during our several stages of life. They remain with us for some period , same is here also that we walk or run with various runners at different times & different distances . But still only a few will get along with us till the Finish Line . Very few are going to remain with us from Start till End. Efforts to be made from both sides that this relation continues but we can see that this can only be done when both sides are ready to sacrifice for each other . As the journey is long you cannot stop thoughts from coming. Sometime I felt like that Life is like a RELAY RACE . As in a Relay Race the Baton is handed over to the other runner to carry on from where he had received the Baton . Such was the case with me but here I was not the runner but I myself felt like a Baton . I felt this as the Sub 10 Hrs Bus , Sub 10:30 Hrs , Sub 11:00 Hrs & Sub 11:30 Hrs Bus with each Bus I had tried to run the distance but was not able to match their pace . So I felt like each & every Bus had handed me to the other BUS coming behind . Today it was again proving that the Walk-Run Strategy is a must for every Ultra Marathon Runner . I was just following the experienced runners who have participated in several number of COMRADE races, as they used to stop & walk , I too used to do the same. You must be able to walk at a good speed is also a necessity as it can save time or can cover time when you are not running. I had reached N3 SUBWAY , CATO RIDGE at 57 Kms in 7:29:27 Hrs where the Cut-Off time was 8:00:00 Hrs so here also I was 0:30:33 minutes ahead . I was still feeling the pain of Cramps . After the Umlaas Road Interchange at 67 Kms I took again a Break to change the Bandage . The Bandage got stick into my skin but I pulled it out forceably at the Medical Aid Station where I again got the Ice Rubbed on the Cramps area then got the Pain reliever ointment rubbed on it. After this again fresh Bandage was put on both my legs . Here too a break was the at 69.50 Kms for 15 minutes . Even after this after covering the distance I had to stop at a medical aid station, I told them just rub the ice on the bandage itself so I was feeling that I am loosing my reserve time . Although it was psychological then also had to continue with it. In between I stopped at one place where there was a group of people sitting & one chair was empty . I asked them that can I sit ? They told Why Not ? Then one of them asked me “ Any Problem ? “ . Then I told them “ Yes I have got severe cramps then he immediately told one guy sitting besides him to give some tablets. He gave me two tablets & told me to chew it . He told it will help. As I was sitting there on the chair I recalled the Chat with Abdulbhai that he had told me “ Sir whenever you feel low on energy, just try to sit for a few minutes & you will see the magic happen as your body will be again recharged that is you will recollect your energy . He was right . I again started to feel better & recharged . Just saw a poster saying “ Legs Just Shut-up , Brain Keep Going “ . This was just matching my wave length of thoughts at that very moment . I stopped at the refreshment table & had a banana to again regain a bit of energy. Still was in deep pain . So at some other stations I took salts directly to recover from cramps . I have generally been keeping pain killer medicine “ Combiflam “ with me during an event. But I forgot that & was in search of a medicine at the Medical Aid Station then I remembered that I Myself have that . Then I took a Combiflam & after some time felt a bit comfortable . Now I was on My Way. After crossing the Lion Park suddenly a voice came from behind “ Lalitbhai “ I just turned & saw who he was ? He was Vivekbhai Singhal from Indore whom I had met at the Expo on 28th that is just three days back for the very first time . He was just moving along very well . We just started running together. I don’t know whether meeting him or due to his company I just forgot all my pain & was at my best again . I told him let’s finish it together . He agreed . We were moving at a decent pace & had the target in mind . I don’t drink tea, coffee or cold drinks . The Coke was served after 50 Kms but as I am a non drinker of these too didn’t look at it. We were just chatting & moving ahead . Vivekbhai told me “ You just move ahead & stop and take rest , till then I will catch you up. “ So I was just running at my pace & waited for Vivekbhai to come . I was enjoying this too. We were approaching the finish line . Now I was feeling Very-Very Happy that to come so far away from home I was now going to finish strongly & found a New Friend for Life in form of Vivekbhai Singhal. Vivekbhai had come with his family & his wife and children were near the finishing line in the stands . They just waved hands & I too felt that someone from my family was present there . 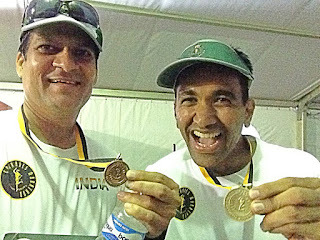 We were running with hands in hand together & crossed the finish line at 11:44:43 & 11:44:44 hrs respectively. The joy of finishing together is much-much better than to finish all alone . Indeed a respectful finish . I can’t just explain here what feeling I had at that time after the finish. I feel short of words to explain here . After receiving the medals we moved towards the International Tent Arena where all Runners who had finished were sitting. Myself & Vivekbhai had thought let’s encourage the runners who are coming towards the finish line . We along with the public started sheering “ Go ….Go …. Move Fast as only a few Minutes are left. Go Fast ….. Go Fast ……You Will Do it . “ I don’t know how come we had so much energy even after running for nearly twelve hours . Only the runners who run the distance will know what it takes to reach here elsewhere these are just figures. I know when I reach back home the non runners will ask me what was the best timing ? You were in danger zone as you finished just in time of 15 minutes to go for the Final Cut-Off . The facial expression of the non runners are just amazing as if by running this distance, in this time we have committed a crime . They don’t know that the runners who had not crossed the finish line even after running for 12:00:00 hrs & just were short by seconds. It is a total heart break that preparing for several months for the event then also get a DNF ( Did Not Finish ) . At one stage I would also had got the DNF tag but by God’s Grace and the Blessings of My Elders & Good Wishes of All My Family & Friends had helped me cross the finish line . But one more thing I must share here I was ready for this too as in life everything doesn’t go according to your wish so we must be mentally strong enough for whatever comes our way. Today I participated & completed successfully the next time it may not happen . It has been happening with the most experienced of runners . Just saw that the runner who had run 17 times this Marathon was not able to complete today as it was not his day. Just in the game of Cricket on his day a particular player can hit any bowler out of the ground & it is reverse if it is not his day he gets out for a duck. A humble request to all the people or the other runners accept this also with respect . No need to go in depression we have not committed a crime . No need to feel guilty . These are part & parcel of the game. Atleast we had the courage that we took part what about you ? I know it gives a bad feeling but in every match you cannot score a century. So be prepared for it . I didn’t had the negativity in mind which most people would have thought of but it was just a step ahead for preparation of whatever comes my way. This is the way I live my Life too. Moving ahead saw all runners from Mumbai grouped together . We congratulated each other . Then saw Dilipbhai Patil . I told him I am Thankful to you , that just by searching you all the way , I crossed the Finish Line . He knew what I meant to say . But it was just a joke . No Hard Feelings . Then I was moving ahead to collect my Drop Bag & saw Praveenbhai Giriya sitting on a chair. He too had cramps at 71 Kms but he finished strongly in 10:55:36 to win a Bronze. We congratulated each other . I asked him where is Matthew ? He replied that after cramps , he had told Matthew to just carry on & he has perhaps finished in 10:30 hrs. Praveenbhai was not in a position to even stand . The phone lines were jammed & we were unable to call anyone . Matthew , his Friend Mike ( Supporter ) & Praveenbhai had come in a car from Durban & their Drop Bags were also in it. Here let me clear one more thing all three of them were staying in the same hotel . So it was easy for them that not to give the Drop Bag where I had given . After some time I asked again - Why Matthew hasn’t come till now ? Has he gone ? He said “ No …. No he will come . We will wait. “ We kept waiting for Matthew . in anticipation that he will come & we will get a photo clicked together then move back to Durban . We had booked a return ticket back to Durban in the Bus one day in advance & my ticket was with me & Praveenbhai had tied his ticket on his wrist before the start, which I saw when he was sitting there, and he showed me and told me that this was suggested by Matthew !!! He was thankful that he had at least bus tickets with him and now can travel by bus. We were starving from hunger but there was only non-veg food available . Praveenbhai was just shivering due to cold . So I thought first I must make arrangement for him . I saw many people Wearing a plastic to have warmth . So I asked one of the runner where did he get it ? He replied at medical tent . Then he told , You can take this as I have my Jacket . Then I brought this & gave Praveenbhai . Seeing Praveenbhai in this position reminded me of a Bollywood song picturised on the Great Rajesh Khanna “ दुनिया में कितना गम है , मेरा गम कितना कम है | औरों का गम देखा तो मैं अपना गम भूल गया | “ Although I too was in pain but seeing Praveenbhai in deep pain , I really forgot my pain . I collected my Drop Bag . A blunder mistake I did was that I didn’t knew that had to keep some eatables & water also in it. There was only an extra pair of clothes in it. Praveenbhai was still shivering . I gave him My Warm Jacket . He asked “ YOU ? “ . I said “ Will manage with the Track . The announcement was made that the bus to Durban will leave by 6:30 PM . The tent was now a bit lighter & we were still waiting for Mathew to come. Praveenbhai was still determined that Matthew must be waiting in parking . I told him you just wait I will check & come . When I moved out & again dialed his number it was connected . I told him to hold on & gave the phone to Praveenbhai . What he told was very shocking “ They had left just a Minutes before after waiting & were on their way to Durban . “ They told they also had tried to call but were unable to as it was jammed . The Drop Bag of Praveenbhai was with them , which included his clothes . Matthew also knew that Praveenbhai had cramps and is injured. If he was just in a distance of few minutes, he should have come back. Because the time taken to travel ahead was very less, the same time would have taken to come back in just few minutes. For the condition in which Praveenbhai was, I was feeling very sorry for him. Well I thought an Hindi saying , “ जो होता है अच्छे के लिए ही होता है | “ But here I was perhaps going to be wrong as to catch the Bus back to Durban was totally mismanaged . They were sending from here to there & we were just moving around in various directions to catch a bus . In between, Praveenbhai had vomiting. I told Praveenbhai you just sit here first let me check as there is no point in moving here & there . It took us nearly 2:30 hrs more to catch the bus back to Durban . Just think of it that it was a journey of nearly 12 hours of running & extra time of nearly 4 hours . We reached back at around 9:30 PM ( South Africa time ) that is it was around 1:00 AM in India . Here a Full Extraordinary Surprise was waiting for me . As I switched on the WhatsApp, I saw a bombarding of messages from all over . I saw that My Family Members , The Whole Surti Runners Group , The Dynamic Runners Group ( My Office Members ) were just tracking each & every step of mine . So I felt that it was not only my efforts but the Blessings & Good Wishes of each & Everyone has helped me to Cross The Finish Line & that too at Ease. No one was present with me in Physical but Everyone was there with me in SPIRITS . I felt & knew that just because of all my well wishers back home was able to reach till here . I thanked everyone from the bottom of my heart & was very emotional in my room all alone . It really was a miracle that from 37 Kms to cover the remaining distance of 53 Kms ( I am saying this to be 90 kms in total as when we have to move around so the distance covered is more although the official was only 87.72 Kms ) . How this happened ? My belief has become more stronger that it was only due to the good wishes. Thank You ….. Thank You ……. Thank You . Even a Thank You will also be a Very Short Word for tracking me for 12 continuous hours & helping me cross the finish line . To reach here or even thinking of attempting it credit is to be given to many people . Vineeta Periwal ( My Wife ) – I know since the last 15 months you are feeling that my feelings for you have changed . This is true & I honestly accept this on this social network site. As someone else has taken place besides you in My Life . But one more fact is that I cannot live without you both . You both will continue to live me throughout my life . So Humble request that “ तुम अपनी सौतन ( Running ) से दोस्ती कर लो “ I know you are trying hard & have full confidence that you will succeed in making friendship with it. You are a fighter who cares for everyone in the Family . You are much-much stronger than me . Even in the last days of My Comrades Training when I was alone You were there to help me . Aparna Periwal & Gopesh Periwal – My Children who have been helping me wantingly or unwantingly to fill the bottles daily for my runs . This is I am saying here because I carry atleast 7 to 8 litres of water daily whenever I go for a run . They have been providing me the Ice from the Fridge for Icing . I would love to see that you both adopt this beautiful sport as it will help you in your future life in whatever you do , as it is helping me. Rakeshbhai Gandhi – The most respectable person in My Life who has always been there whenever I needed him . When we met 17 or 18 years back we were mere strangers. Your role in developing me as a person & guiding me in whatever I do , the confidence & trust you have in me has brought me to this distance . We been working together at our business where the major role is played by him . I just enjoy whatever I do. Last year was filled with lots of travelling as I participated in 7 Marathons then even My Wife said “ आप आये दिन बाहर जाते हो , राकेशभाई कुछ बोलते नहीं है आपको ?” He has always supported me. At business also we just enjoy . We are least concerned in what others are doing . We concentrate only on what we do. The people who have viewed us closely will agree with this too . You have always encouraged me & taken care of me as a guardian. Bhartiben Rakeshbhai Gandhi – I was not certain of whether I should register for 21 Kms or for 42 Kms in last years Surat Night Marathon . You were the person who told 21 Kms is also good as being the first time . Had you not told and guided me at that time it would have been a total disaster as preparation was not there for 42 Kms & I would have gone totally in depression . The story would have been totally different . Thanks for showing immense confidence & trust in my ability from the day one itself since I joined this Surti Runners Group . 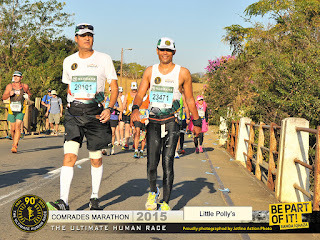 A lot of Credit to You Sir from showing me the Right path as I still remember your words that “ You will be the First one to complete a Comrades in 15 months since start of running long distances . I know your passion for this sport but your profession does not allow you to take out time on a regular basis to practice more otherwise till now you would have done this many times . Pranavbhai Desai - Our Group Leader of Surti Runners . You were injured otherwise this journey to Comrades would have been more memorable one with you too finishing much higher in the same event . You too have been always there in my journey physically or spiritually since the day I have joined this Surti Runners Group . I Wish that we go for Comrades 2016 under your leadership . Nehalbhai Patel – After my practice run at Lonavala on 29th March 2015 with the Mumbai Comrades Runners , my confidence was a bit shattered & thought that I will not go for Comrades as there is a huge difference in running on flat roads & running on hills . Probably you can say that was mentally prepared from not taking part in the Comrades Marathon . You gave me a call on 30th March & told “ If anyone can be fit this time to do this it’s you ." We will go for a Run at Saputara along with Ashishbhai . We ran 37 Kms in all on 26th April as a practice run in tough conditions but this again helped me in increasing my confidence level that I can Run on hills too . You had set the Sunnto Watch for me several times whenever I required the settings to be changed & guided me. Your formula of drinking 200 ml of Enerzal & 200 ml of Water alternatively after every twenty minutes during any run has just worked as a magic for me . I would like that all the runners must adopt this . Just follow as the Doctor says . He is the Best in this Group with his immense knowledge & deep study of the technicalities when running is concerned . 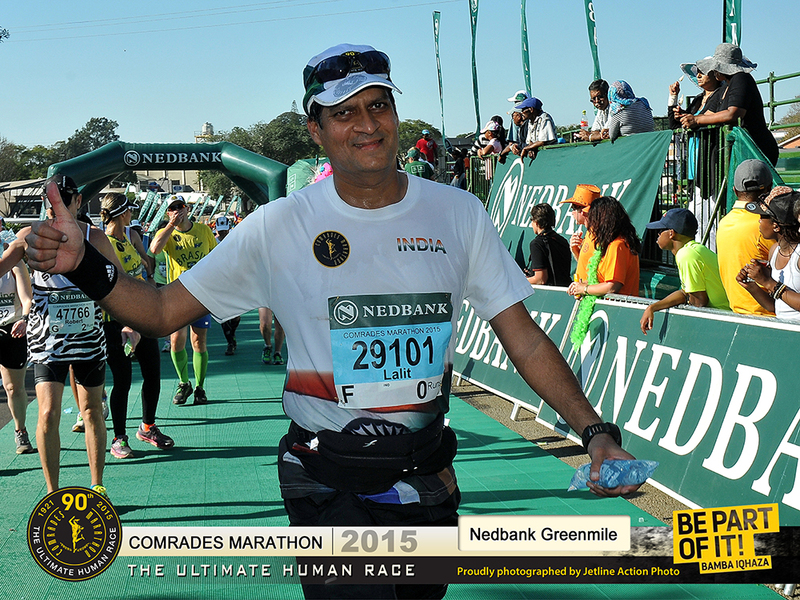 Ashishbhai Kapadia – He is another Gem of a person who is always ready to help and that too free of cost for Runners . Whenever I had any injury related problems you have guided me to come out of it . The Saputara Run which I ran with you & Nehalbhai demonstrated that if a proper planning is done, anything can be achieved. You have to train hard as you were running with loads of weights on your body in the form of the Camel Bag & extra bottles . As soon as you kept them aside after 35 Kms you were just flying on the uphill also . Sushmaben Ashishbhai Kapadia – You are a great example that how you support Ashishbhai in whatever he does. When we went to Saputara you were driving the car whole distance till we ran & providing us with all the hydration stuffs in between at regular intervals. To run in open air however hot it might be but to drive a car & sit in it for hours waiting for us at various intervals is a very very tough thing to do . I will always salute you for your this courageous effort. Sarveshbhai Gupta – My Daily Running Partner , who has always been there in whichever Personal Milestone I have achieved till now in the Field of Running since we met on 10th August 2014 . Friend , you have always encouraged me & my belief has gone from stronger to strongest by the thoughts & the experience you have been sharing . I am happy that I was able to give you a Birthday Gift in form of this Run as I had promised & you also in return gave me the gift by running a Full Marathon that day at Surat. I really missed your company in this years Comrades Run but have a firm belief that you will join me for the Comrades 2016 . Satishbhai Gujaran - You helped me getting added me to the Indian Comrades WhatsApp group. When I came to Lonavala, you guided me with several tips and shared many things to keep in mind in the run. Even after the Lonavala run, we were in regular touch. You have guided me as and when required. Amitbhai Seth and Neepaben Seth - When I was to go Lonavala for Comrades practice run, I did not had any arrangements to go from Mumbai to Lonavala. When I posted this to our WhatsApp group, you invited me to join with you. It was your gesture which I will always remember life long. We had lunch at your residence . 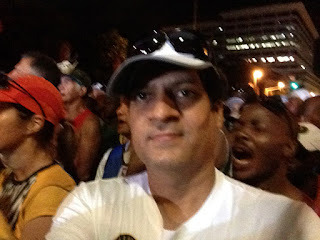 The experience which you had shared with me of Comrades marathon that what has to be done and what not, really helped me. Praveenbhai Giriya - We had planned our journey together from Mumbai to Durban and return back home. We spent good time together in Durban in each other's company. You did not make felt alone. 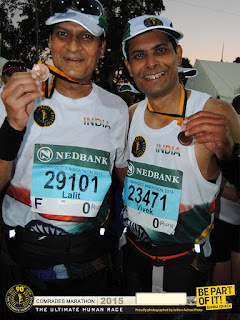 Rajivbhai Sheth – We had been meeting before too at several marathons but when he took me all the way to Ahmedabad Marathon by Road then we had a very close time . I discussed with him about going for Comrades then he had insisted me that I must go. Not only he but Manishaben Sheth had also taken out time & shared with me the travel plans & stay at Durban which helped me to finalize my plan . Amitbhai Jajoo – In all the Marathons I participated last year maximum plans of stay or travelling you had done for me . As I was new it became very easy for me and your immense support & encouragement has brought me to this level. 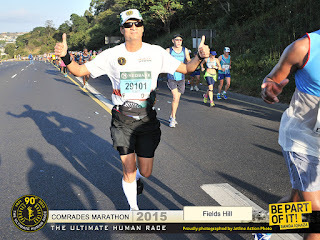 I wish that we do a Comrades 2016 together . Ronakbhai Shah – Even you are new in the field of running then also you had done a brave effort in coming & supporting me in my last days of Comrades training . It is not that the distance you have to travel together but a psychological advantage we also have that someone is there which is also a very big thing. Bimalbhai Desai , Pruthulbhai Desai , Jayeshbhai Shah , Hemangbhai Jariwala, Nirajbhai ,Deepakbhai Mundhra, Sureshbhai , Sharadbhai and all who gave me company in the Comrades training runs, and all the other runs since last 15 months. Abdul Qayyum Babulkhair – He is a very sporting person who has always been there in the last 15 months with whom I have been sharing each & every minute details about my running . He has always supported me & often guided me that what should be done & what should not be. During our professional work we also discuss about the daily runs too which have been very helpful . Your motivation is such that you made a team at Dynamic from which 11 people did Half Marathons this year & 14 people participated in 5 to 10 Kms RUN. Never go all alone . Do take your running buddies with you , as to run this long distance you need a running partner. We must keep several Drop Bags at various intervals so that we can keep solid food like Theplas , Kaju Katli or whichever stuff you like etc. of your choice as only dry fruits will take a lot of toil to regain the energy . Always keep the Salt tablets & Pain Killers with you as you don’t know when you will need them . Always keep an Indian Flag with you in your last Drop Bag as you will need it after the completion of race for a photo to be clicked. I missed it this time as after all we are representing our country. Proud to be an Indian . In the last drop bag we must keep lot of food & drinking water too as after completion of a race we just feel very hungry. All our purchases made bills , must be kept in our purse above so that we can avail the Tax or Vat refund policy while returning back home from Airport. Why to loose this benefit too ? Superbly narrated Lalitji ! While reading it I felt like watching movie ! Proud of you ! Keep it up ! All the very Best for your future plans ! No words to explain the achievement. Howsoever appreciated will be insufficient to match the landmark obtained. I m sure you believe in " ye dil mange more"
Congratulations. Superb effort. Very well documented.wish you great success in your future runs. I am touched, moved and inspired by your divine experience and am proud and feeling blessed to have you as an inspiration and a friend in my life. Superb Lalit must had great experience - keep it up. Excellently narrated. I'm confident that most runners going henceforth for a Comrades Run will re-read this as guidelines. 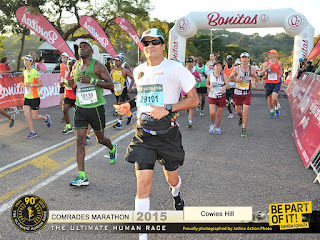 Reading your this blog a was like running the Comrades Run myself. Your this achievement has made us all feel proud of you Chacha. I really hope I soon join you for running someday. We all are proud of you.. By your motivation I had participated in marathon, though I had knee problem & doctor too said not to run but because of your support I completed my 1st half marathon.. You have encouraged many of us & so we have started our morning run .. Thanks alot for inspiring us may you achieve great success ..stay healthy & blessed.. Highly inspiring and helpful blog for runners. U have provided Precious tips and guidelines.